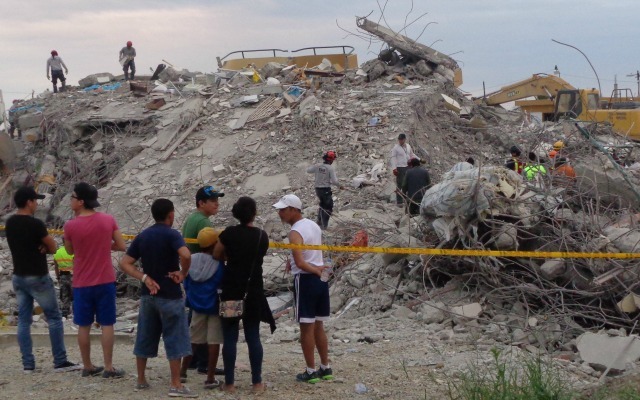 Immediately after a 7.8 magnitude earthquake rocked the coastal province of Esmeraldas, Ecuador, more than 500 people arrived at the Cristo Rey (Christ the King) Catholic Cathedral seeking safety. Fear of a tsunami had people terrified. The courtyard was teeming with families, the elderly, and young children, some half-dressed as they were bathing or preparing for bed when the earthquake struck at 6:58 p.m. last Saturday evening. Bishop Eugenio Arellano arrived soon after. “He was in his car when the earthquake hit and thought he’d punctured a tire,” said Segundo Zambrano, a journalist with the local Catholic Radio Station Antena Libre. The earthquake had severed all telecommunications; phone calls weren’t coming in or out. The power was out and the children, in particular were very thirsty and in need of water. Widespread damage has left people shaken. The current death toll stands at just over 400 and is expected to keep climbing. More than 2,000 are injured and countless have lost their homes or afraid to sleep indoors. The bishop remained with his parishioners handing out water until the tsunami warning was called off and people began returning to their homes. Caritas Ecuador and the Church immediately saw a surge in donations and served as a drop-off point for in-kind goods. Specialty items such as medicines are being channeled through the government, while fifteen fully loaded trucks have been sent out by the Church in Esmeraldas to provide immediate relief items to families. Such donations have been a lifeline. Esmeraldas was initially difficult to reach because roadways were blocked with damage and debris. Alternative routes have been established helping to bring in much needed relief informs Zambrano. According to Vicar General Fr. Silvino Mina, the items most in demand are reusable kitchen items for people to prepare meals. Mothers of infant children are also requesting baby diapers. The day after the quake hit the Bishop toured disaster affected areas. He saw more than 330 homes destroyed and countless others that are cracked or missing roofs. Rebuilding and rehabilitating homes will be a top priority. The provincial capital of Manabí, Portoviejo, was hit particularly hard. The Church has provided shelter for 600 people, but many Church buildings have been destroyed. Fr. 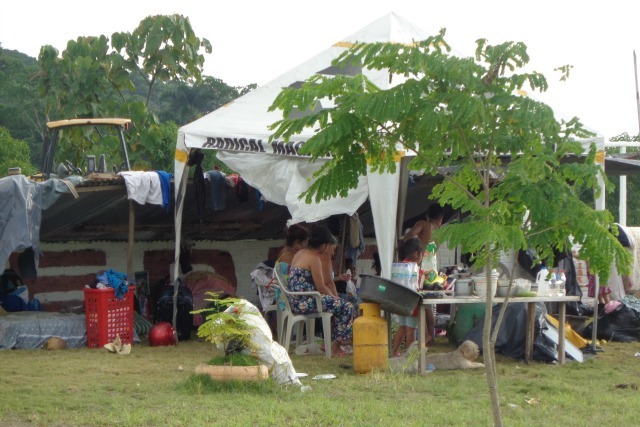 Richard Garcia, of San Juan parish, in Portoviejo said, “What we need most is drinking water, waterproof tents, covered mattresses, kitchens equipment and gas cylinders to cook for the community, and food.